Invest in Ola Brew Co.
Did you know that a) More than half of the tropical fruit grown in Hawai'i falls to the ground and never makes it to market; b) U.S. demand for craft alcohols has doubled in the last 5 years, and c) Most beer and cider consumed in Hawai'i is imported? Our conclusion: it’s time Hawai'i County had its own brewery designed to turn the state's abundance of produce into revenue for local farmers. And as the experienced beverage entrepreneurs who started Hawaiian Ola, we are the best team for the job! Naehalani Breeland Marketing Director @ Ola Brew Co. Exclusive Investor Shirt and Hat and -5% discount in Ola Brew taproom -5% discount off our online shop - A free tour and guided tasting at Ola Brew Co. - A free draft Ola Brew on your birthday! -Dinner pairing with one of our incredible Island Chefs and our delightful brews! -5% discount in Ola Brew taproom -5% discount off our online shop - A free tour and guided tasting at Ola Brew Co. - A free draft Ola Brew on your birthday! -Be the first to taste a specialty batch, send us notes, and you will be a part of our process to make a product worthy for the retail store shelves! -5% discount in Ola Brew taproom -5% discount off our online shop - A free tour and guided tasting at Ola Brew Co. - A free draft Ola Brew on your birthday! -A day in the life! Come join us for a day in the life! Get the inside scoop on Ola Brew Co -5% discount in Ola Brew taproom -5% discount off our online shop - A free tour and guided tasting at Ola Brew Co. - A free draft Ola Brew on your birthday! 1 First to bring production scale, locally sourced, craft cider to Hawaii. 2 Raised over $2.5M for equipment, facility build out, and taproom. 3 Launched our 14,000 sq. foot beverage facility and taproom in December of 2017. 4 Launched our retail products in stores statewide in July, 2018, 7 months after we opened doors. We are now in over 250 retail locations throughout the state including Wholefoods, Costco, Safeway, CVS and many local chains and independent stores. 5 Our founding team signed 3-year work commitments, and each team member has a stake in the company, incentivizing them to take ownership and pride in everything they do. 6 Managed by seasoned beverage industry professionals. 7 Will open first satellite taproom on Oahu in the fall of 2019. 8 Raised $707,205 from 634 investors on Wefunder since May 2017. A strong background in sales and a passion for organic sustainable living. Joined Hawaiian Ola to sell products he believes in. 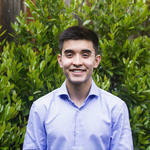 Previously worked as an account executive and started his own consulting firm. Loves working in a competitive but enjoyable atmosphere. 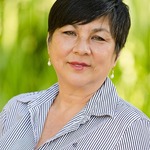 Experienced accountant and advisor with a passion for country living. Takes joy in working with creative people aligned with his own values. Manages all technical aspects of the production facility. Born & raised in Hawai’i. Keeps her facility & community safe managing OSHA, FDA, and state regs. 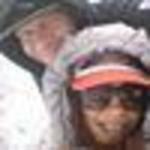 Former head of sales for an award winning brewery in Ft Collins, Colorado. Our partnership with Ola Brew has been incredible and a great decision for us. The reception in retail stores has gone overwhelmingly well. Ola Brew is out the gate with a winning combo: it's a local beer and they're leading with their flagship IPA. You can't go wrong with that combination. 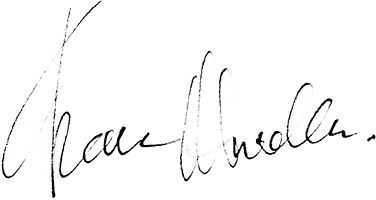 The second -- the very second -- I learned about Ola Brew Co., I knew it would be a project to support both personally and professionally. The unwavering dedication to the local community and our farmers speaks volumes about who these good people are. I’m really excited and impressed by Hawaiian Ola’s Cidery project. The Big Island and Hawaii are ripe for some fresh beverage ideas and companies. Based on their success, I am very confident that they’ll knock it out of the park! 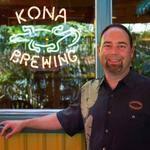 Founding CEO, Kona Brewing Co.
[Their] whole idea is to cultivate local farmers that promote Hawaiian agriculture, sustainability, and organic farming to create a better lifestyle and future for the islands. Which means every time you support [them], you’re supporting a healthier practice of farming and agriculture and a more sustainable Hawai’i. Dr. Oi holds a Ph.D. from Stanford University School of Medicine Department of Genetics where he was also awarded several landmark patents—collectively valued at over $1.2B. Aerospace Electrician and Enviromental system specialist. 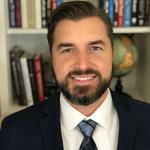 Father of three, entrepreneur and licensed Medical Technologist. Financial Institution Executive (CEO), entrepreneur in Real Estate, retail and internet ventures, as well as an investor in other food and beverage, hospitality and outdoors ventures. Active duty service member of 18 year and a Cleveland, Ohio veteran. OHIO GROWN! I currently work as a programmer for a tech startup. I recently reallocated my portfolio and decided to invest some in support of ideas I find personally exciting and potentially game-changing. Ola Brew Co. embodies Hawaii through and through, made to support Hawaii’s environment and economy. Our cider and beer is made with tropical fruits, by and for Hawaii’s local residents, and enjoyed by craft alcohol fans everywhere. While our ciders currently incorporate the majority of our locally sourced ingredients, the addition of our restaurant will give us the opportunity to grow our agricultural impact. One of our 5 year goals is to have an entirely estate grown beer in which the hops and grains are also grown right here on Hawaii Island. Most of today’s ciders are, well … tame. We aim to make flavorful ciders like nothing you’ve tasted before, using island-grown fruit like pineapple and dragonfruit. There’s currently no processing location able to meet our large-scale, organic production needs in Hawaii. So, we've built our own. With our Class 18 Liquor License, we have the capacity to brew beer and wine, and to distill spirits. We have constructed our brewery, winery (for cider making), and production space and look forward to a future in distilled products as well. Since opening in December 2017, we have tripled our brewing capacity based on consumer demand for retail products! Since opening in December, we've hit some major milestones, including tripling our fermenter and brite tank space, launching our products statewide based on consumer demand, and lowering our carbon footprint by upgrading our facility to include a CO2 recovery system and Nitrogen Generator. Sales Growth 2018 - Can't Stop, Won't Stop! 2018 has been an incredible year in growth for Ola Brew both in and outside of our taproom. See our quarterly revenue growth below. Our achievements have been incredible so far and we have no plans of slowing down. We will continue to secure a market for farmers to sell their produce, while bringing quality and innovative products to our beer and, now, cider loving community! We started Hawaiian Ola Back in 2010 and have launched 16 different natural and organic energy drinks made with local ingredients. Since then we've grown Hawaiian Ola into a staple on the grocery store shelves. Hawaiian Ola sits on Whole Foods, Safeway, and 7-Eleven shelves in Hawaii, and many other retailers throughout the state and mainland U.S. We can leverage our relationships with these 422 partners for Ola Brew. The Hawaiian proverb, I nā mālama ‘oe i ka ‘āina, na ka ‘āina malama iā ‘oe, says, “If you take care of the land, the land will take care of you.” Today, we see the wisdom of these words more truly than perhaps any other time in history. The planet is in a state of tremendous change and in Hawaii, like so many other places, a time of renewal is on the horizon. The renaissance underway is replacing farms that once harmed the environment with crops that restore the land, plus substituting imported goods with locally made alternatives. What’s driving the change is everyday people voting with their dollars at grocery stores, shops, and restaurants for products and companies that share their values. In the last 5 years, our work at Hawaiian Ola showed us that there’s a market for companies doing business with authenticity and reverence for the planet. At Ola Brew Co., our dream is to bring the mission and vision that inspired our success at Ola to an even larger stage, where our ideas can have a much greater impact. The scope of the brew project is ambitious. 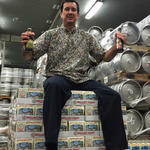 Our aim is to make beers and ciders that are 100% produced in Hawaii. This requires a production facility unlike anything that currently exists in the state. Building the facility will reduce the C02 impact from shipped-in alternatives, reduce reliance on mainland co-packing facilities, create a way to turn island-grown fruit into local products, create new local jobs, and provide production opportunities to other companies also wanting to produce their products on island. Since launching in 2012, Hawaiian Ola’s community of drinkers has supported us by voting for our products at shops and supermarkets everywhere. Today, we’re pleased to share the excitement of our next adventure by providing our drinkers with an opportunity to own a stake in our new brewing company. By investing in Ola Brew Co. you’ll not only share in the rewards of its success, you’ll be creating facilities that empower Hawaii’s local network of farmers, entrepreneurs, and producers. Together, we can open Hawaii County’s first organic co-packing facility — join us and let’s make history! Our goal is to share locally sourced and brewed craft beers and ciders with our Hawai'i County community. 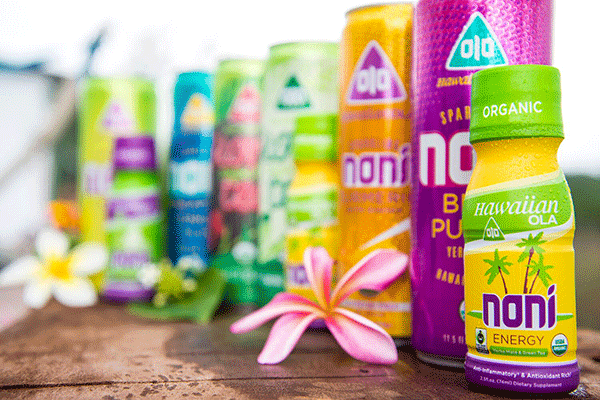 Our team has a 5-year proven track record of growing our original beverage brand (Hawaiian Ola) 100% year-over-year in the competitive energy drink space. Now, we see opportunity to open a new company in the alcohols market, which is 10x larger than the energy market. The facility has created over 20 new local jobs, cash for local farmers, and reduce Hawai'i's reliance on imported goods. What makes Ola Brew Co. so special? We’re brewing organic beers and ciders in Hawaiʻi from locally sourced ingredients, and building the first organic certified processing facility on Hawaiʻi Island. We’ve built Hawaiian Ola into an over $7M business in 5 years and we’re using that experience to launch the first organic brewery in all of Hawaiʻi using locally sourced Hawaiian ingredients. Our new facility will be able to brew never-before-tasted flavors from endemic Hawaiian fruits and grains. This will be a truly unique Hawaiʻi-based alcohol brand. CEO/Founder, Brett Jacobson: I moved to Hawaiʻi about six years ago and started a farm down in South Kona. Around this time, I was reaching out to people in the community to see what farmers were growing and where they were selling their goods. I came to realize that the market for commercially grown agricultural commodities was pretty limited. You had essentially two options for entry into the business: you either grew enough to support your own farmers’ market stand or you were growing for industry giants. Neither choice seemed very appealing to me, because going with the former pitted you against your neighbor while the latter took away some of your independence and freedom. In the end, we decided that we needed to break out of the mold and try something different. That’s how we began our first company producing a non-alcoholic line of beverages made from locally sourced Hawaiian ingredients. The whole model behind the company is taking crops that were easy to grow responsibly and turning them into economically valuable products for consumers. 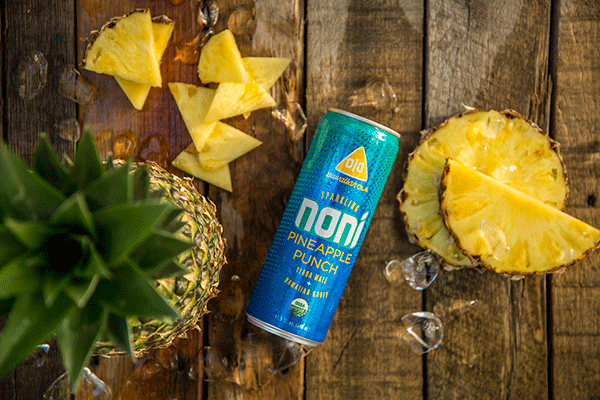 We’re taking the experience from running a successful line of juice and energy drink beverages and applying it to our new beers and ciders, which will likewise be organic, verified GMO free, and grown in Hawaiʻi. What’s the market for beer and hard cider in Hawaiʻi? Coming from our background—building a successful business in the energy drink industry we see a lot of potential for us in alcohol. The market for beer in Hawaiʻi is $300 million a year, which is about ten times the size of the energy drink market. There are now 18 million cider drinkers in the U.S., compared to fewer than 5 million just 4 years ago—last year they generated over $1 billion in retail sales. Meanwhile, Hawaiʻi is ranked #28 for the amount of breweries per capita. There’s a huge market for the beer, and the industry is exploding right now. Even more interesting, while the microbrewers and craft beers are growing about 20-30% per year in the U.S., cider is growing over at 70%. And there are zero cider companies in Hawaiʻi—which seems crazy because we grow all these amazing tropical fruits. Interest in cider is high because there’s so much variety to choose from; there’s a multitude of flavors cider can be made into besides apple, like pineapple or goji berry—the growing gluten free market doesn’t hurt us either. We’re going to be able to capture not just the local market with these exotic, original flavors, but also the national market. We’re going to produce craft cider better than anyone else in the U.S. because we have access to more tropical fruit than mainland competitors. How will you capture interest for your beers and ciders? We have the advantage of a natural kind of marketing: the tourism industry. When people come to Hawaiʻi and hear about our locally produced, fresh, ciders and beers, they’re going to want to try them. After exposure to our great beverages, they’ll hopefully continue drinking them back home and tell others about their favorite new beverage. In terms of competing with already existing Hawaiian beer companies, we plan to price competitively so that consumers get a better value. Companies like Maui Brew have a big market share here but they’re selling for ten dollars per six pack while imported beer from Nevada, for example, is eight bucks a pack. Pricing is an important component that we're taking into consideration. What’s different about your ciders? Our ciders will use locally grown, organic ingredients that naturally grow in this climate and terrain. 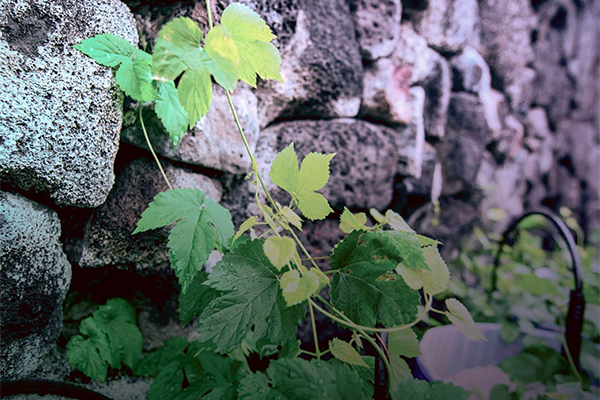 Estate ciders and brews are rare in the continental US, and unheard of in Hawaii. When we say we are a Hawaiʻi brand, we mean it; many of our ingredients are grown and sourced in Hawaiʻi, we’ll manufacture and bottle here on island, and our local consumers get first dibs. What we’re creating is an authentic product that is true to our brand and mission. Tell us about the unique flavors you’ll be able to make that no one has been able to brew before. We have the ability to produce seasonal beverages on a scale of our choosing since we won’t have to live up to high minimum requirements from mainland packaging facilities. We can harvest fruits that only grow during a certain time of the year and offer ciders and beers in those flavors for limited times. For example, there’s a certain fruit that grows really well in Hawaiʻi called the Mountain Apple that no one knows what to do with. It can’t be exported because it needs to be processed right away before it goes bad. That’s certainly something you could expect to see coming off our cider line. How will the success with your existing products translate into the cider market? By taking advantage of co-branding opportunities, that utilize our existing brand recognition, it will be easy to convey that the new products we are offering are also made with the same standards, and the same commitment to great, locally-sourced ingredients. People like our brand. They like our flavors. The market cap for energy drinks is about thirty million dollars a year in Hawaiʻi and the beer market is three hundred million a year, and right now we’ve captured about five percent of the energy drink market. If we did exactly what we did in the energy drink market with beer and cider, we should be able to capture a similar percentage of the market by using the same brand and the same team. Five percent of the three hundred million dollar cider market is fifteen million a year, and that’s just Hawaiʻi and just cider alone. We think that the cider company will likewise have the same kind of opportunity. Why are you building the beer and cider brands under a new entity? We have a special community of investors who have supported our launch and growth at Hawaiian Ola. They’re really behind the mission—most of them are health forward, eat organic, and don’t drink alcohol. While they are happy with everything we’re doing at Hawaiian Ola, the new endeavor will be a good opportunity to open up investment opportunity to a new group under a new brand. We’re also thinking about the long term interests of our first angels and don't want to dilute their shares in order to launch the cider company. How do you help local farmers? We care about our farmers and actively strive to help them build a sustainable career. The average farmer in Hawaiʻi makes about $15,000/year, which is barely enough to support their livelihood. The only true solution to a sustainable world and healthy food production systems starts with our farmers. We need to make organic farming a financially feasible career so that organic farming isn’t just a backyard gardening hobby. We envision a world where farmers can make fifty to a hundred-thousand dollars a year. We see other big businesses (food and beverage brands) boast that they’re providing income for something like 10,000 farmers a year, when you do the math, though, and calculate how much they’re paying these people, it doesn’t amount to much. We want to move away from subsistence farming and turn it into something beneficial for both growers and consumers. We not only want to create an environmental impact but also a social impact—which for us means creating jobs. What is Hawaiian agriculture mostly composed of? Over forty percent of the agriculture in Hawaiʻi is focused on producing inedible products. It’s usually feed, seed, or ethanol corn that’s exported to the mainland. Another top product is pineapple, which is controlled by a super-corporation I won’t name. Right now they are trying to sell off tremendous amounts of land that’s been completely destroyed in the last fifty years from unsustainable farming practices. Getting back to the point, however, pretty much everything Hawaiʻi grows on a large scale is exported, but we do get a lot of our produce locally, about sixty percent of our fruits and vegetables are fresh grown in Hawaiʻi. We choose what products to make based on what raw materials we have. Even deeper than that, we decide which raw materials to use based on how sustainable and beneficial for the land and community growing them would be. We have a matrix that compares the environmental impact, availability (e.g. is it already being grown, where is it being grown, is it domestic or imported), and effort (does it need extra fertilizer, water, or other inputs). The other variable concerns volume, or how much we can grow of a certain ingredient. Corn is a great example. We can grow a lot of corn here, but it doesn’t necessarily make the most sense agriculturally because it’s not a native adapted plant. Hawaiian Ola has always been focused on developing products from things that really ought to be grown here. 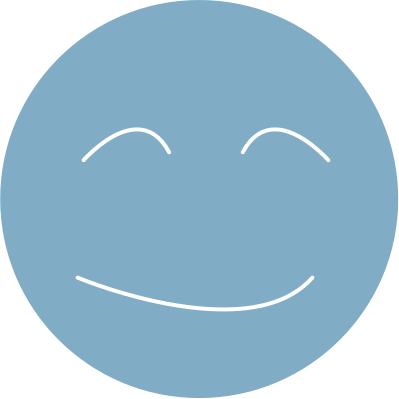 What do your customers love about you? 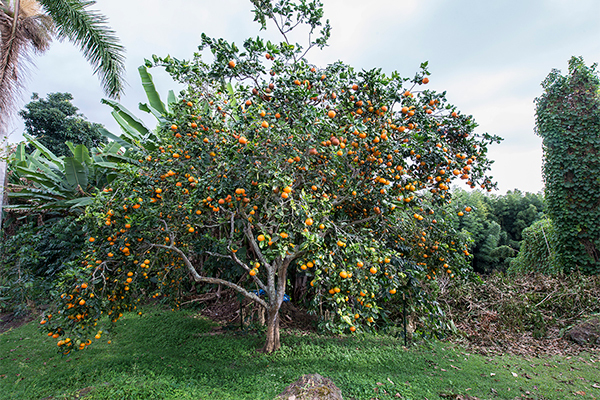 Our company and products underpin our mission to support Hawaiʻi’s environment and economy by empowering local farmers producing organic, responsibly grown crops. Our aim is to allow consumers to vote with their dollars by purchasing products that align with their values. Leveraging their purchasing power gives consumers a say in the type of environment they’d like to see and future changes they want to see implemented. Some folks want to support local businesses and the local agricultural industry, while others are mostly focused on the environment, so they want to promote organic agriculture and GMO-free products. But the mission is just one aspect that appeals to a specific segment of our drinkers. Another portion of our fans simply love our products because of their unique flavors and function—it’s an economical thing and a utilitarian thing. They like the way it makes them feel. They like the availability and the price, and it happens to be a suitable drink for them. Hawaiian Ola’s current product appeals to a broad demographic, and our upcoming cider will appeal to an even larger market. Our cider, like our juices, will be found in natural foods grocery stores, places like Whole Foods, but also in convenience stores like 7-Eleven. Do you sell mostly in Hawaiʻi or overseas? About 80% of our sales come from Hawaiʻi. As for exporting our current products or any future products, we’d like to tap into the Asian market, particularly Japan. The only thing holding us back, right now, is packaging. There’s something called the Hawaii Seal of Quality that’s recognized internationally as a stamp that guarantees high quality, locally-grown products that are authentically made in Hawaiʻi. Right now, we completely qualify for that seal in terms of quality and authenticity, but it requires that we package the products in Hawaiʻi, as well. For the last several years, we’ve had to rely on large, organically certified, co-packing facilities on the mainland to produce our products—Hawaiʻi just didn’t have the facilities we needed to produce on island. Launching this new production facility, gives us a way to meet that final requirement, which will help us boost sales once we launch the canned ciders and beers. Why are you building an organic packaging facility? 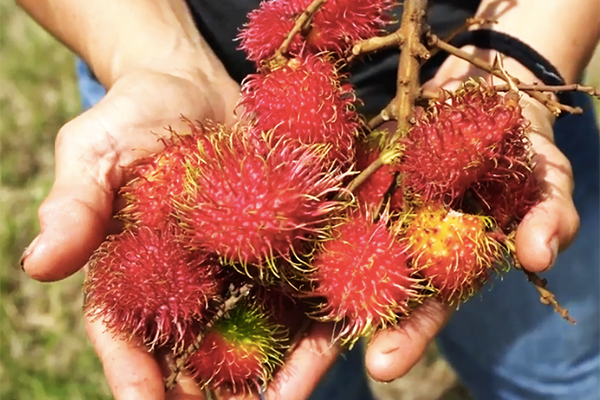 Hawaiʻi doesn't have a lot of commercial food infrastructure or means of production, especially for the kinds of production that we've been looking for. So we need our own processing facility. It not only has to be able to process the size and shape of our containers, cans, and bottles, but it also needs to be certified organic. There are no co-packers here that are both organic and/or have the equipment capable of packaging our products. By building our own organic packaging facility, we’ll be able to export internationally and help out other companies in Hawaiʻi that want to produce more certified organic products, as well. We’re trying to solve a problem that plagues not only us, but other smaller businesses that don’t have enough capital to build their own facilities. We're really excited about being able to help other companies that have a similar vision to us. Sharing facilities is mutually beneficial as the co-packing component will also directly supplement our overall revenue. Some great companies have approached us to talk about co-packing once our doors open. 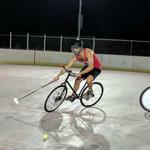 What will it take to build the facility? The main thing is raising adequate funds to outfit an entirely new facility. We’re talking about around $2 million. The upside is that we’ve already raised $900,000, which we’re using to purchase some of the processing facility’s key assets. So, in total, we’re looking to raise about $1.2 million more. Some of the equipment is already up and running—things like the new brew house and bright tanks. We’ve also outfitted a great 10K Sq Ft production location and tap room, which is leased in downtown Kailua Kona on Hawaiʻi Island. Major construction finished summer 2017 and our Class 18 alcohol license was awarded to us around the same time. What we need now is capital to pay for the build out of the restaurant for onsite food and some new pieces of equipment (needed in order to triple brewing capacity—we’re barely able to keep up with all of the orders under our current capacity!) and working capital to fund cash-flow for the first year. Why haven’t other co-packers gone through the process to be certified the organic? These guys don't like to take risks. They think that because they already have a business model that works and makes money that they don’t need to consider the emerging market for organic foods. We’ve presented these businesses with the opportunity for going organic and they look at the costs of setting it up and say “no thank you.” We, on the other hand, see the consumer demand for organic products, and we know there’s a huge market here. We’re willing to invest; and that’s an insight that many facility owners don’t necessarily have. What’s the difference between certified organic facilities and non-organic facilities? The main difference that separates a certified organic facility from a conventional facility has to do with the compounds found in that facility. A conventional facility is allowed to have trace or even heavy amounts of pesticides and herbicides, synthetic fertilizers, etc., in the food they produce. In an organic environment, that would not be allowed. Facilities that try to cater to both have to undergo really intense cleaning regimens in between productions. There’s a procedure set by the FDA that details equipment sterilization, segregation of storage, documentation, etc., and it’s a lot of work. How much will being able to package on the island save you? Based on what we’ve projected, in alignment with the current products we have at Hawaiian Ola, the packing facility should be profitable within twelve months. Right off the bat, we've projected at least a quarter million dollars saved in tolling and shipping from just what we currently produce, and not yet factoring in any beer and cider production. Our margin would go from 44% to 53%, which is a big jump for us. From just those two elements alone, it’s a sound economic investment for us. Additionally, it saves us from huge peaks and valleys in our cash flow. When we work with these large co-packers on the mainland that also can for companies like Coke, Monster, and Rockstar, which have massive production demands in comparison, we’re forced to meet really high minimums. It’s been a huge toll for us to generate all that capital to meet those minimums and compete on that level. With our own packaging facility, we can control how much we spend by doing smaller runs more frequently. We won’t be pressured to produce and package so much upfront, and will maintain an organic growth of our products in current and new markets. Has anyone else committed to using your packaging facility once it’s open? We have three juice companies that want us to package for them and one of them wants us to help distribute, too. We’ll be managing distribution and manufacturing for these smaller startups who are looking to launch new beverages. They’re looking to us for help, and it’s a trend that we’re going to see more of in years to come, as more and more people want to get into the industry. How many businesses do you think the packaging facility will be able to serve? In addition to serving our own cider and beer brand, we’ll scale out by bringing on two to three new brands per year on the co-packing side, our original Hawaiian Ola beverage brand being one of them. They’ll, of course, pay a fee to use the facilities. Right now, there are about 10 different brands that could use our facilities. Do you guys have experience running a packing facility? We’ve been using the facilities of the largest co-packer in the West Coast; one that caters to Monster, Rock Star, and even Coca Cola. However, we actually rent the facilities from them for $3,000 per hour, and do everything ourselves. They don’t manage the process for us. We go and manage the processing ourselves, so we definitely know what it’s like to operate a packing facility. Who's on the team and why are you the ones to do this? We’re a group of young, independent entrepreneurs who, along with our executives and employees, are driven by a passion to create more opportunities for Hawaiian agriculture. All the executives have been working 5 years on Hawaiian Ola and others have been in the industry for 2-3 years. We do our own distribution and marketing because we like to stay in touch with the local Hawaiian community. We believe it’s important to create opportunities for our host culture; we’re not coming into Hawaiʻi to capitalize on all of the resources, but rather the opposite—we want to help create a sustainable agricultural industry here. Our hope is that the work we’re doing helps forward a much larger agro-social initiative, which is to achieve food sovereignty in Hawaiʻi and decrease the islands’ reliance on imported goods from the mainland. Ola Brew Co. has financial statements ending December 31 2017. Our cash in hand is $140,000, as of November 2018. Over the three months prior, revenues averaged $124,779.68/month, cost of goods sold has averaged $62,534.10/month, and operational expenses have averaged $110,000/month. Hawaiian Ola Brewing Corporation was incorporated in the State of Hawaii in December 2015. First to bring production scale, locally sourced, craft cider to Hawaii. Raised over $2.5M for equipment, facility build out, and taproom. Launched our 14,000 sq. foot beverage facility and taproom in December of 2017. Launched our retail products in stores statewide in July, 2018, 7 months after we opened doors. We are now in over 250 retail locations throughout the state including Wholefoods, Costco, Safeway, CVS and many local chains and independent stores. Our founding team signed 3-year work commitments, and each team member has a stake in the company, incentivizing them to take ownership and pride in everything they do. Managed by seasoned beverage industry professionals. Will open first satellite taproom on Oahu in the fall of 2019. Our company was organized in December 2015 and has limited operations upon which prospective investors may base an evaluation of its performance. Revenues & Gross Margin. For the period ended December 31, 2017, the Company had revenues of $56,182 compared to the year ended December 31, 2016, when the Company had revenues of $0. Our gross margin was 62.07% in fiscal year 2017, compared to % in 2016. Assets. As of December 31, 2017, the Company had total assets of $1,593,737, including $187,127 in cash. As of December 31, 2016, the Company had $679,312 in total assets, including $244,325 in cash. Net Loss. The Company has had net losses of $611,104 and net losses of $155,318 for the fiscal years ended December 31, 2017 and December 31, 2016, respectively. Liabilities. The Company's liabilities totaled $2,349,069 for the fiscal year ended December 31, 2017 and $833,630 for the fiscal year ended December 31, 2016. To-date, the company has been financed with $2,746,140 in convertibles. After the conclusion of this Offering, should we hit our minimum funding target, our projected runway is 24 months before we need to raise further capital. Hawaiian Ola Brewing Corporation cash in hand is $140,000, as of November 2018. Over the last three months, revenues have averaged $124,779.68/month, cost of goods sold has averaged $62,534.10/month, and operational expenses have averaged $110,000/month, for an average burn rate of $47,754.42 per month. Our intent is to be profitable in 10 months. Since opening we have recruited new employees and new talents to ensure our success and reach our potential in the industry including marketing and sales on outer-islands to increase brand awareness and ensure success in new accounts statewide. 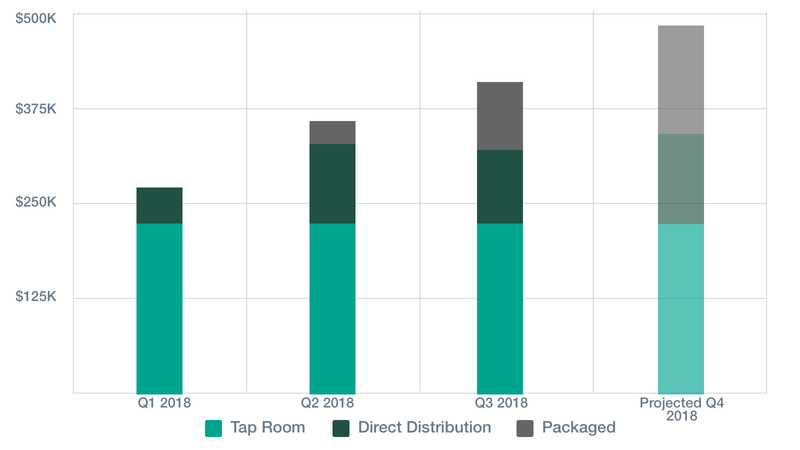 As we continue to maximize and invest in our current taproom and onsite brewery location we will see an increase in revenue as we build out additional spaces. Our monthly sales growth is projected to increase by $100,000 in the next 6 month period. This is due to diversifying our sales through launching 3 more canned beer and cider products, and opening our restaurant in our taproom. Anticipated expenses come with completing the kitchen portion, and building out satellite tap location. The primary risks an investor in Ola Brew Co. should consider are risks from competition, risks associated with market assumptions, risks associated with financing and interest rates, risks of acquisitions and joint ventures, and risks associated with costs of raw materials, packaging and shipping. Ola Brew Co., being based on a remote island, will require a wide range of imported raw materials to produce and package our products. Raw commodities are subject to significant price increases resulting from a number of possible factors. While the common and increasing concern of water risk (fresh water supplies being pinched by increasing demand) is not an issue for our company, certain materials such as bottles, aluminum for cans, and flavor compounds not made on island may, at times, be difficult to source. Related—Oil and gas prices can significantly impact the costs associated with packaging and shipping, especially being an island-based company. 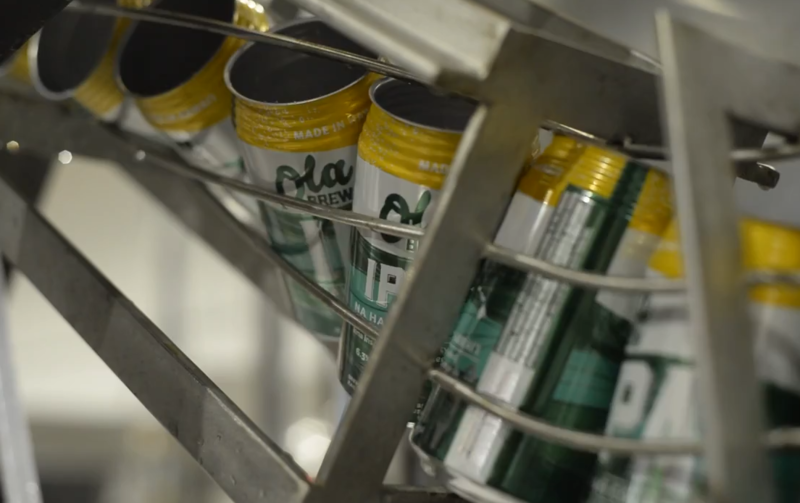 An additional risk associated with product packaging is Ola Brew Co.’s reliance on the Hawaii division of Ball’s can manufacturing location to produce many of its cans for lower priced products in the pipeline. This plant represents the only on-island location capable of producing cans locally. There is risk for the company in the plant closing because it would require the use of an alternative source, likely from the mainland, which will come with additional costs associated with logistics. The alcoholic beverage sector, in which Ola Brew Co operates, is a highly competitive market, where competition risks are significant. To succeed, Ola Brew Co. must be able to respond quickly to changes in consumer preferences. For example, Ola Brew Company may have to adjust to an increased consumer emphasis on lower sugar content. Ola Brew Co. will work to anticipating market shifts and respond accordingly to actions by competitors. Ola Brew Co. has made certain assumptions about alcoholic and non-alcoholic markets in order to create financial projections for the business. There is risk associated with the accuracy of these projections being compromised due to sharp changes in key assumptions such as cider market growth, the energy drink market in Hawaii, and other related variables. In order to mitigate this risk, Ola Brew Co. has taken great care to ensure the reliability and source quality of key assumptions used in the business plan. Ola Brew Co., like many comparable alcoholic beverage companies, may make substantial capital expenditures in such areas as research and development, and production facilities. Therefore, management of working capital, strategic planning of capital expenditures and the company's debt position are all of major importance. Various risks are associated with interest rates and financing—these risks must to be managed well to ensure profitability. Ola Brew Co. understands that the company must invest in growth while working to avoid taking on excessive debt levels, especially at high interest rate levels. A source of revenues for Ola Brew Co may be found in emerging-market economies. Emerging markets represent substantial opportunities but also have accompanying risks. Penetrating emerging markets is often accomplished through acquisitions or joint venture partnerships. For Ola Brew Co. to effectively profit from gaining access to new markets, we must identify the best acquisition or partnership opportunities, be able to obtain adequate funding for market expansion, and negotiate favorable deals. An additional risk arising from doing business in foreign countries is currency exchange-rate risk. Ola Brew Co. is conducting a Regulation Crowdfunding offering via Wefunder Portal LLC. CRD Number: #283503. Principal at Simmons Small Business Capital. Investor, Educator, Homesteader, Married, gay, soccer fan, US Coast Guard Aux. Staff Officer. Love! Concept, ciders, beer, and the people. We want the best for Ola and Kona. I just love Ola Brew and what it is all about. I support companies that are ecologically and socially viable. Artist. I also intend to become a successful investor. I wanted to support Ola’s cause and give back to the community! Live in Hawaii, love the products, support local! Was on the island and loved the flavors of your brews. Didn't have a chance to make it to the tap room, but blown away by the lager and white pineapple cider! I like beer and I like Hawaii. I missed Ole Brew the last time this one I want it. Thrilled to support a great team creating a fantastic local Big Island product. 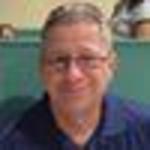 Former Retail Buyer and Supply Chain guru. Because I liked the Cider and Beer and Naeha, who did the tour, was great! We were impressed by what we learned about Ola Brew from the tour that given by Naehalani. We are happy to invest in a local business with a worthy cause. 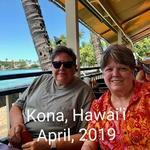 I am a partner at Hukilau Honolulu. We carry Ola and love it. We also love that Ola is very involved with the local community. Hi Everyone, I offer 15 years of commercial strategy experience in the hospitality space with having an affinity for the Big Island. Let me know if you'd like to learn more - would like to contribute! How do you know you have a beer obsession? Perhaps it's when you walk into the beer aisle at the grocery store and, within seconds, you can tell something is different. The green, yellow and white packaging popped up immediately in my peripheral vision, and I felt like a kid on Christmas morning as I inspected the six-pack. After a busy summer and with many visitors heading home, it's time for Hawai'i residents to play. Pack up the family and friends and take advantage of the Buy One Get One kama'āina offer on Hawaii Forest & Trail's Hidden Craters Hike or Kohala Zipline's Canopy Adventure now through Dec. It's been eight months since Ola Brew Co. opened its doors on Luhia Street. Less than a year is but a blink of an eye in the business world, but what a ride it's already been for the brewery tucked away in the old Kona Industrial Area. 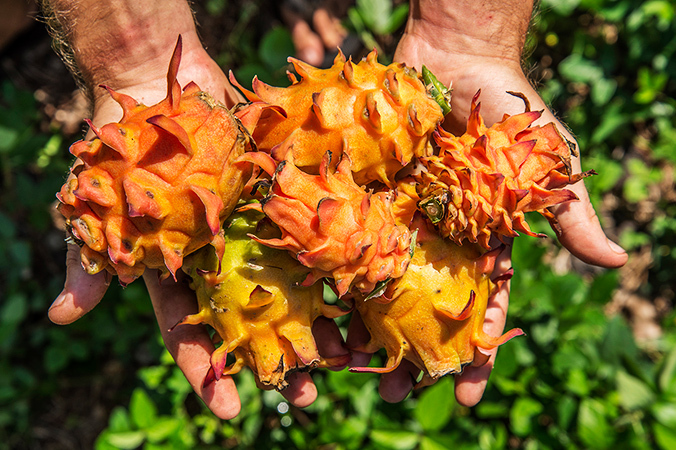 I first heard about Hawaiian Ola when my friend Doug Pittman, from Kona Hawk Farm, told me about his son Derek's involvement in a new company that was buying local noni fruit to use in an energy drink. KAILUA-KONA - "Anyone who says they don't like beer is a liar," Laina Reisenfeld, a bartender at Ola Brew in Kailua-Kona, said. "They just haven't found the right one yet." For the record, I completely agree with Reisenfeld's assessment of beer. 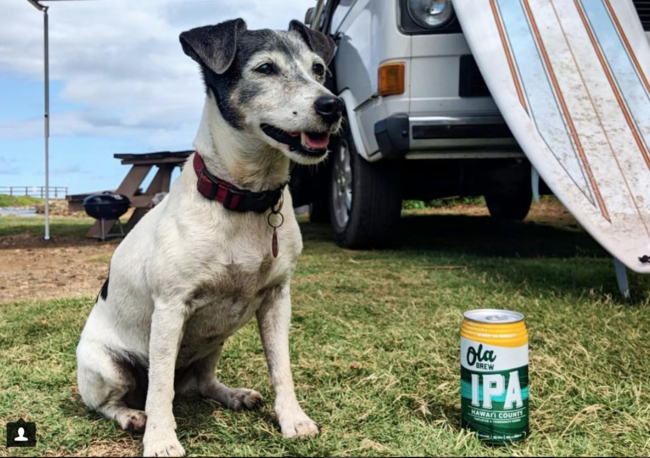 KAILUA-KONA - When customers come to Ola Brew Co. on Luhia Street, they can sip on the new brewery's Ola Pale Ale or Ola Lager as they look out the taproom's windows onto the brewery floor below. Crowdfunding sites like Kickstarter have long offered backers a straightforward deal. People donate money to a creative project and get a reward, like a T-shirt or cool new gadget. But one thing backers couldn't get was equity in the new company. A new law, however, has changed that. Shaka Tea has introduced the first line of bottle iced teas brewed with Hawaii-grown mamaki. The company's teas are distributed by Hawaiian Ola and available in 40 locations across the state. While "Benefit Corporation" is an actual IRS business structure and requires a separate process, a B-Corp is certified by B Labs, a nonprofit. Other B-Corp companies in the U.S. include Ben and Jerry's, Etsy, Patagonia, and the Honest Co. In Hawaii, they include bCause, KYA Design Group, Natural Investments LLC, Smart Sustainability Consulting, Hawaiian Legacy Hardwoods, and Hawaiian Ola. 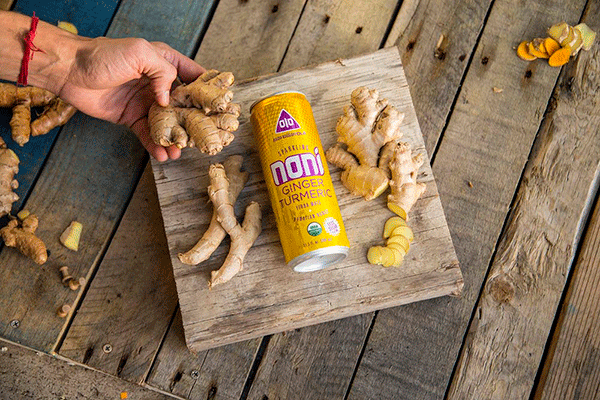 A small 2.5 ounce bottle of local noni juice is making a big splash across the globe. Hawaiian Ola owner Naeha Breeland says her company's success is all thanks to exposure from the Honolulu Marathon expo. 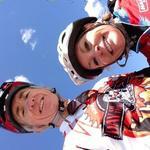 "It has definitely gotten the word out. industry news All Fired Up Brazilian Show Room presents The Surf n Sea Pipeline Womens Pro March 16-24th, 2015, Pipeline, Oahu, Hawaii Defending Champion 2014: Bethany Hamilton Runner Up: Moana Jones Pipeline can be a crazy wave, get ready for the action. A mission-focused Hawaiian business is stepping away from the conventional and joining other ethical companies in certifying business practices that lead to social change. 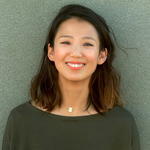 SAN RAFAEL, Calif., Oct. 14 /CSRwire/ - In the new consumer economy, transparency is the new green. Businesses embracing openness, authenticity, and accountability are quickly gaining ground and growing fast. Meen Motorsports would like to thank the following team sponsors for 2013, Yamaha, Graves Motorsports, South Valley Orthopedics and Sports Medicine, San Jose Ear And Sinus, Hawaiian Ola, San Jose Yamaha, Yamaha Generators, Yamalube, Radiomedics, G Squared, Fit For Speed, DID, Mot Y Designs, Galfer, Vortex, Sharkskinz, Zero Gravity, Apex Mfg, Sportbike Track Time, Roclun Int'l (Lewis) and Jon Block Group Sports (Farris). Event host, Fit For Speed, treated attendees to light bites, alongside a wine bar by V-Twin Wines, while providing them with the rare chance, to meet and greet the team, in a one-on-one setting. Guest also received an exclusive preview at the Next Moto Champion March cover, featuring the Meen Team. Surrounded by a number of motorcycle industry peers and local racing fans, Meen Motorsports unveiled their 2013 Yamaha R6, for the up coming AMA Pro Racing season. Campbell, CA. Thanks for vouching for Naehalani! If you'd like to invest in Naehalani, please open an account. We'll waive your fees if you do it now. We asked Naehalani for 10 personal references. Can you vouch for Naehalani?